Supreme Court of India on Thursday referred the 'triple talaq' and related matters to the Constitution Bench. The Bench headed by CJI Khehar said that a constitution bench will hear petitions challenging the constitution validity of triple talaq, polygamy and nikah halala from May 11. The Supreme Court had on February 16 asked all sides including aggrieved women petitioners, Centre, All India Muslim Personal Board and women rights bodies to submit written submissions by today on the issue of triple talaq, polygamy and nikah halala. The Chief Justice had on that day said a detailed hearing of petitions challenging the validity of the practices will commence from May 11. At the outset of today's hearing there were some differences between Attorney General Mukul Rohatgi , Kapil Sibal who is appearing in the Whatsapp matter on setting up of constitution benches to hear three important matters simultaneously stretching across the vacation to which the two senior lawyers were not very comfortable with. Then the CJI said "if we do not sit during the vacation it will never happen. "What is the problem? I have been working during summer vacations last two years. In 2015 we heard NJAC during vacations. But well if you are not ready I am only happy to enjoy my vacation", he said after which all lawyers agreed to the vacation schedule. "We heard NJAC during a vacation and formed a time-frame. If a matter like NJAC can be heard during vacations then any matter can be heard" , said CJI Khehar. "It is such an important issue...we cannot rush through..it will take time..there are so many nuances to it and we have to consider each one of them" , the bench had said. Taking ahead its hearing on batch of petitions, one of them taken suo motu by it on the contentious issue and recurring complaints of gender discrimination suffered by muslim women arising out of several rules in its personal laws, the Supreme Court had on Tuesday said it would decide issues pertaining to legal aspects of the practices of triple talaq, 'nikah halala' and polygamy among Muslims and would not deal with the question whether divorce under Muslim law needs to be supervised by courts as it falls under the legislative domain.The bench had however, made it clear that it was not dealing with the issue of Uniform Civil Code (UCC), which is currently being examined by the Law Commission of India. Two days before the crucial hearing in the matter, the All India Muslim Personal Law Board (AIMPLB ) had through an affidavit submitted before the Supreme Court that declaration of triple talaq as illegal will amount to “disregarding Allah's directions and rewriting of the Holy Quran”. It also once again asked the apex court not to venture into the area of changing personal laws. "If such casual denunciation of the verses of the holy book is permitted, then soon Islam would cease to exist. 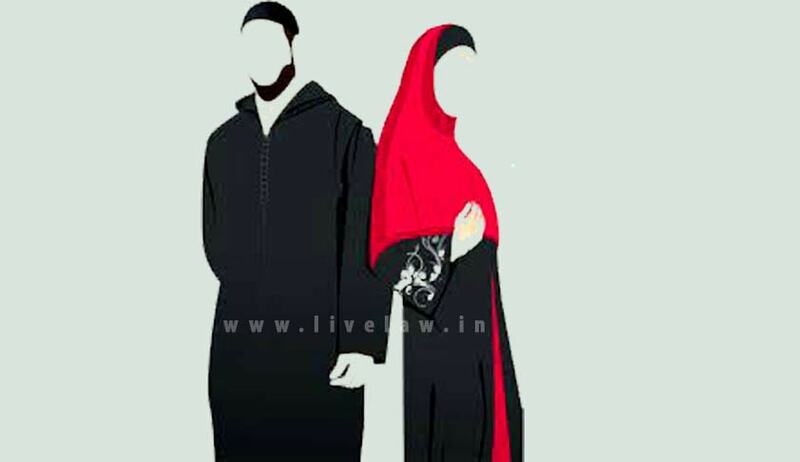 Though triple talaq in one sitting is an unusual mode of divorce in Islam, it cannot be declared to be invalid in the light of the direct verses of Holy Quran and categorical command of the Messenger of Allah." The Muslim Board also urged the apex court not to venture into the area of changing personal laws and said only the legislature was empowered to do it. “It is humbly submitted that the court ought not to venture into the area of changing Personal laws by following the trend in several other countries. It is pertinent to note that any change or reform that comes with the backing of legislature takes due care of diverse cultural background, sensitivity and sensibility of the stakeholder community and thus is in spirit adheres to both the principles i.e. the principle of democracy and the principle of separation of powers”, the AIMPLB written submissions said.